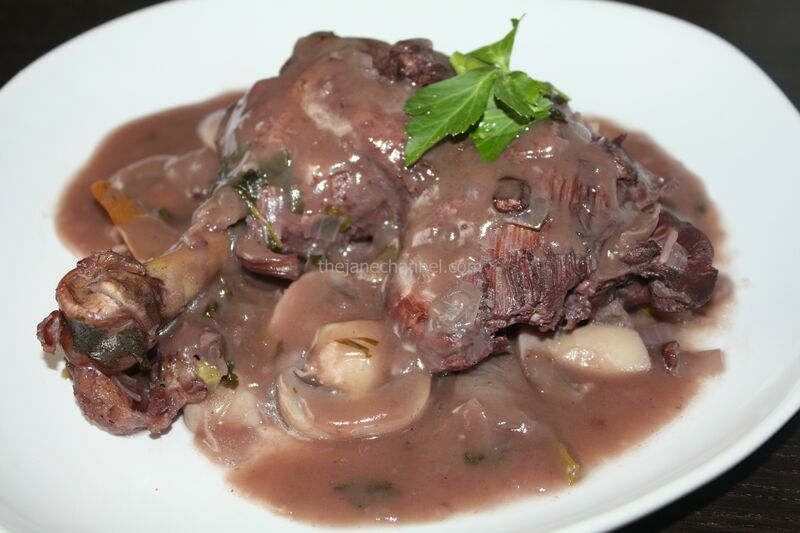 Coq au vin is a classic French dish with chicken, wine and vegetables. I love the preparation and the wonderful smells of wine and chicken while it was slowly cooking. The chicken falls off the bones, and the sauce was rich and flavorful. This dish was well worth the time and effort. Transfer the chicken to the pot. 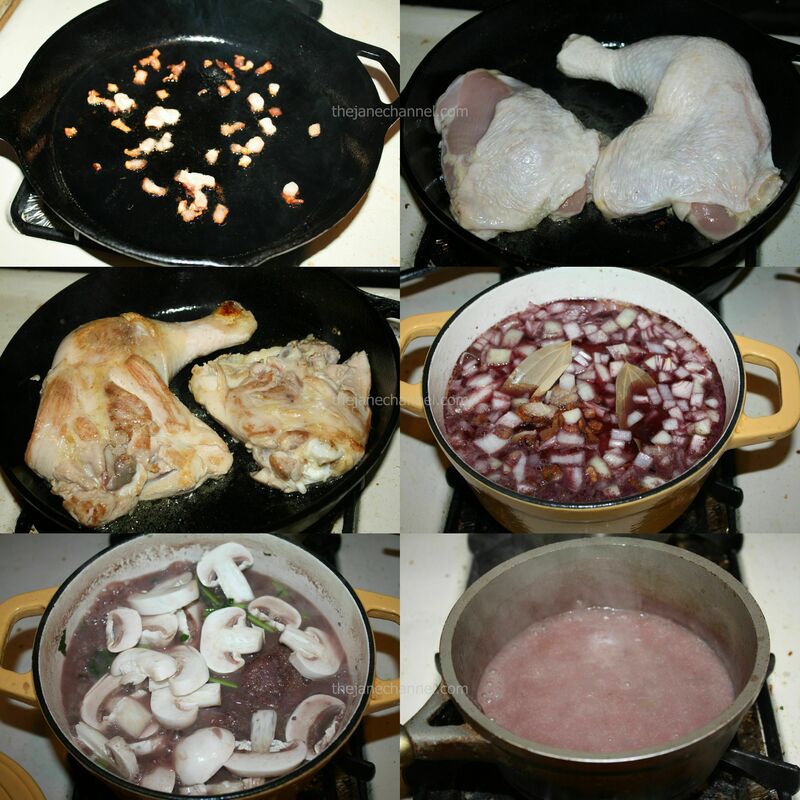 Pour the wine over the chicken, then add the reserved bacon, the stock, onions, bay leaves, and garlic, along with another good pinch of salt and pepper. Simmer over low heat for at least 2 hours (or in a slow cooker; cook on low for most of the day or high for 2 hours), until the meat is falling off the bone. In the final 30 minutes, stir in the mushrooms and allow them to just cook through. When ready to serve, cook the butter and flour in a saucepan over medium heat for 1 minute. Ladle in 1 1/2 cups of the cooking liquid and cook until it has thickened enough to coat the back of a spoon. 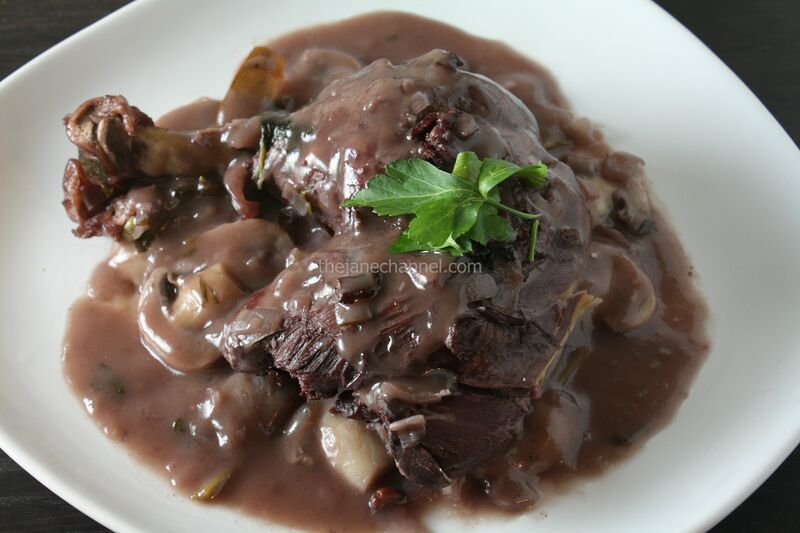 Serve the chicken with the onions and mushrooms, then drizzle over the thickened sauce. Source: Cook This, Not That with a few modifications.